Chavanga Fish Blog: Estimated catches in your chosen time. Part 1,2,3,4 NEW - 5. Best fishing position. Estimated catches in your chosen time. Part 1,2,3,4 NEW - 5. Best fishing position. Discussing plans for salmon fishing on the Kola Peninsula in the coming season, I often get the question of alleged catches, the average number of fish caught per day, and so on. This is a common question that interested each angler who is looking for himself fishing tour at the new location. The question is simple, but the answer is not simply to it. Earlier, speaking about effective salmon flies, I drew attention to the fact that last year's successful flies do not necessarily work in the next season. 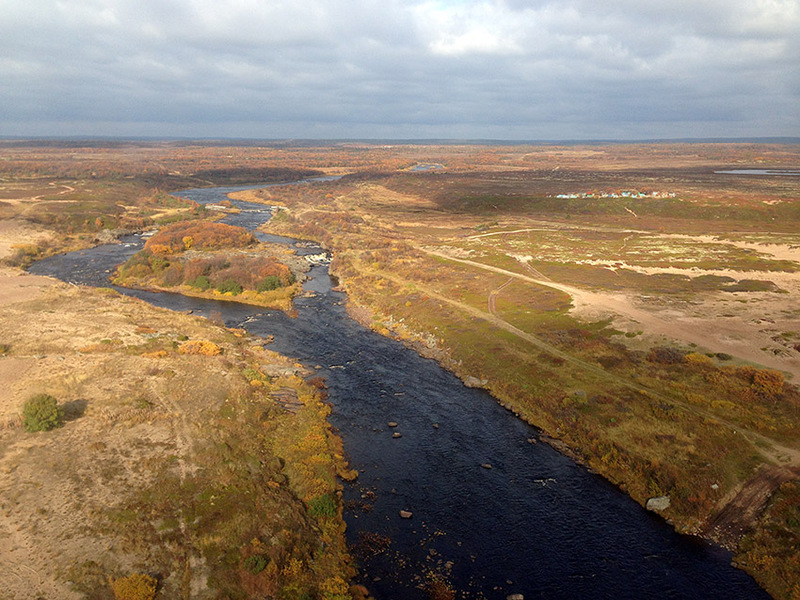 The situation on the river changes every time develops a different level and temperature dynamics. This leads to a change in the behavior of salmon and requires us to change tactics and fishing techniques. 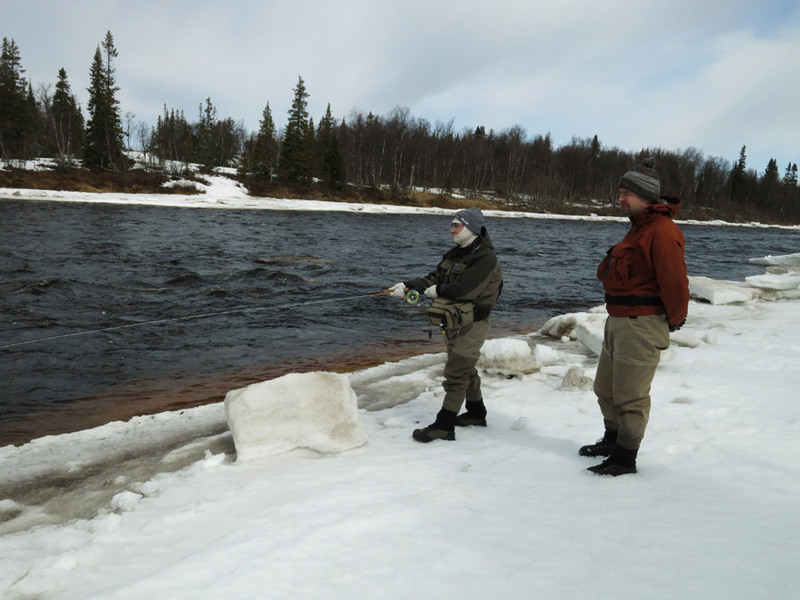 Therefore, discussing the prospects for catches in your chosen week of the upcoming season, you need to have reasonably accurate data on the state of the river at this time. It is the state of the river affects the activity of salmon and our ability to apply our skills and knowledge. In the following days, I'm going with the forces and try to detail 2 of the thesis. WE are talking about autumn run salmon at the spring fishing period. First of all I would like to know what fish are in the river. Salmon rises from the sea to the river all year round. 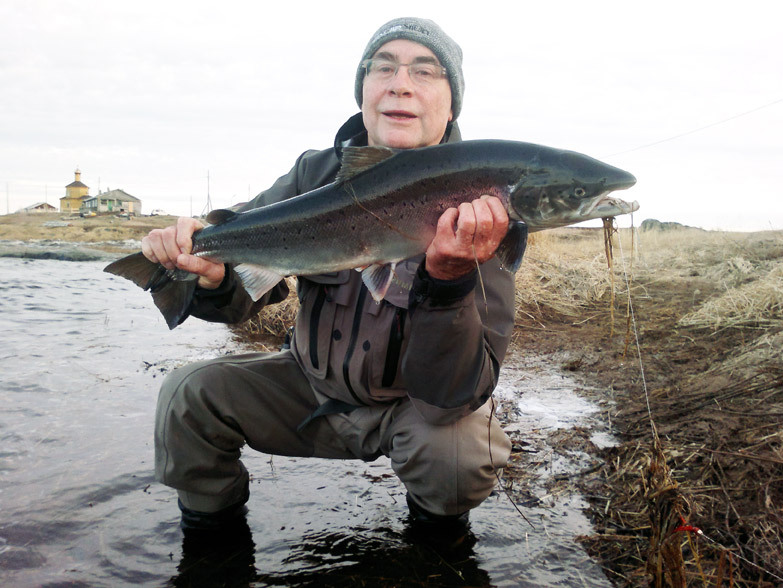 There are periods in the fall and spring, when salmon movement in the river takes a particularly energetic character. 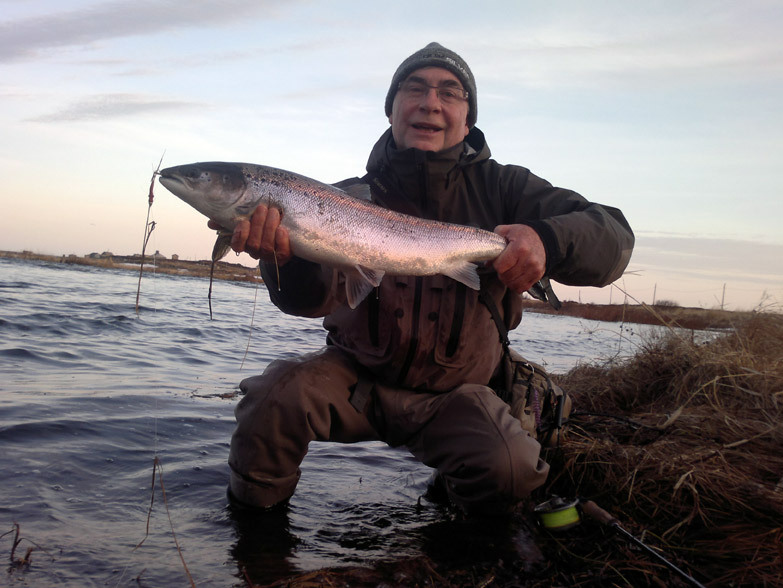 With the beginning of fishing season, we meet more often salmon, which came out of the sea in the autumn of last year and was in the river throughout the winter. All fish that went into the river in the autumn should be in the river in the spring. Part of the salmon, which wintered at the mouth of the sea or near the river, in the spring, too, rises upstream. 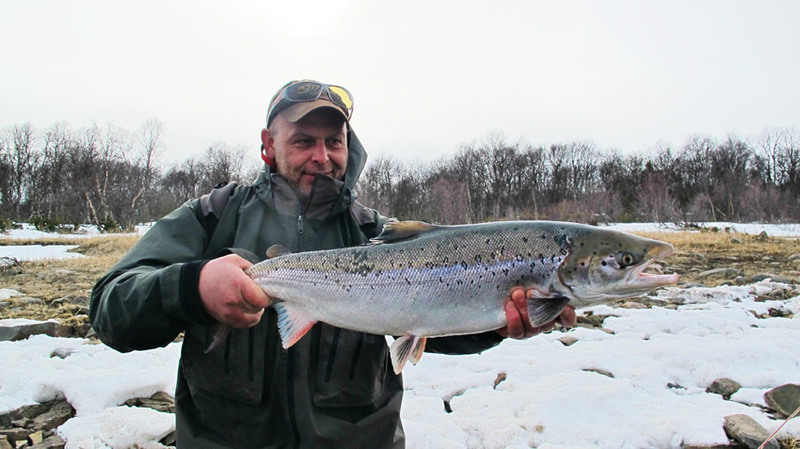 Thus, at the beginning of the season, in May and early June, we have to deal with the salmon, which wintered in the river or estuary section of the river. It is separate in its appearance and in its behavior group of salmon. It is usually represented by numerous and very different in size individuals. It must be remembered that this group includes salmon fish, which appeared in the river at the end of August, as well as fish that entered the river at the end of October, November and even in December last year. You can imagine how diverse the composition and behavior of this group of salmon. All these fish react to the onset of summer, the water level change and the rise in temperature. The faster the summer comes, the faster the fish that was in the winter in the river loses its activity. But this adaptation of the salmon is quite different at a rate that depends on their age in the river, their size, weight and even the floor. These changes in the state of fish affect their activity, forcing us to constantly monitor the state of water and change the tactics of fishing. We consider several options for the situation on the river early in the season. 1. Late and slow spring. Gradual melting of snow and a moderate rise in water level. Season shifted by 1-2 weeks later than normal by the end of May - the second week of June. Fish remains active in cold water with 4 to 6-8 degrees, but comfortable for catching the water level comes to the second week of June. 2. Late and quickly onset of spring . Last time there was a period in 2014. 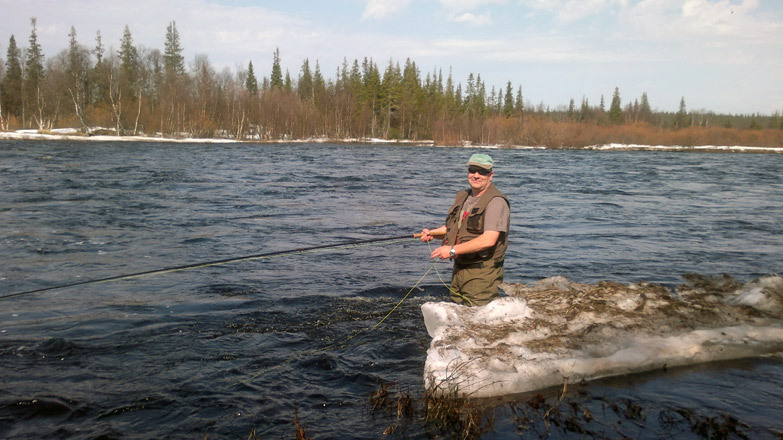 The rapid melting of snow leads to a sharp rise in the water level and is extremely uncomfortable fishing conditions. Fish remains active, but many of the best places just are not available for fishing. 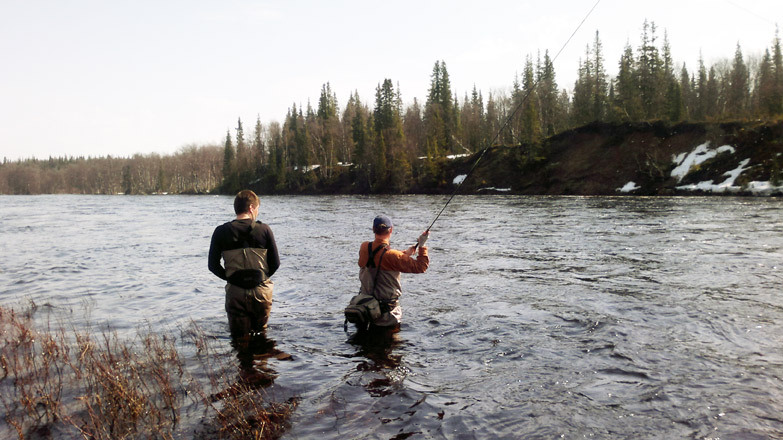 This period requires good skills in casts and physical abilities for wading. Falling water levels normalize the situation, but the best fishing period is shifted to the beginning and the middle of June. 3. Early and long cold spring. 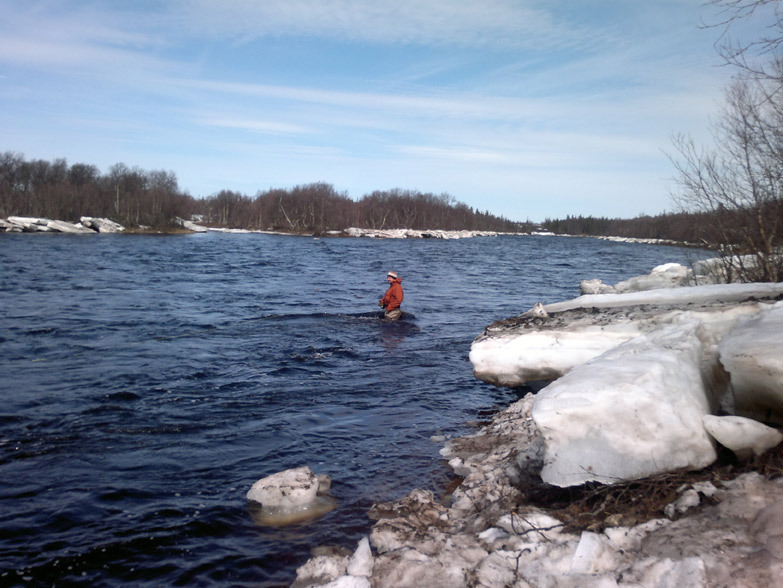 Ice leaves the river soon, the water level is normal, comfortable catch, available many of the best places on the river. Fish in cold water for a long time retains its activity. A good option, long and effective season. 4. The early and warm spring. This period was marked in 2011. Season shifted to 1-2-3 weeks in advance at the beginning of May. The water level in the river falls, the water is warmed and the fish lost its activity. It is an unfavorable period. It remains to wait for the salmon in the river from the sea, which is adapted to the warm river water and retains activity. Alternatively, you can remember a situation where an early spring and a rapid warming of the water combined with the persistence of unusually high water level. It is also very unfavorable situation. 5. Normal spring with a gradual melting of snow and rising water temperatures. This is usually from mid-May to mid-June. After the floods in early May, the water level is gradually returning to normal. There are more pools, where the water flow and depth allow comfortable position to choose and carry out fly. The main role is played by the rate of increase of the water temperature. The water level is not as critical, the fish changes its position by lowering the water level, but still long enough to remain active. But with an increase in water temperature of comfortable 6-8 degrees to a 12-16, salmon activity gradually decreases. 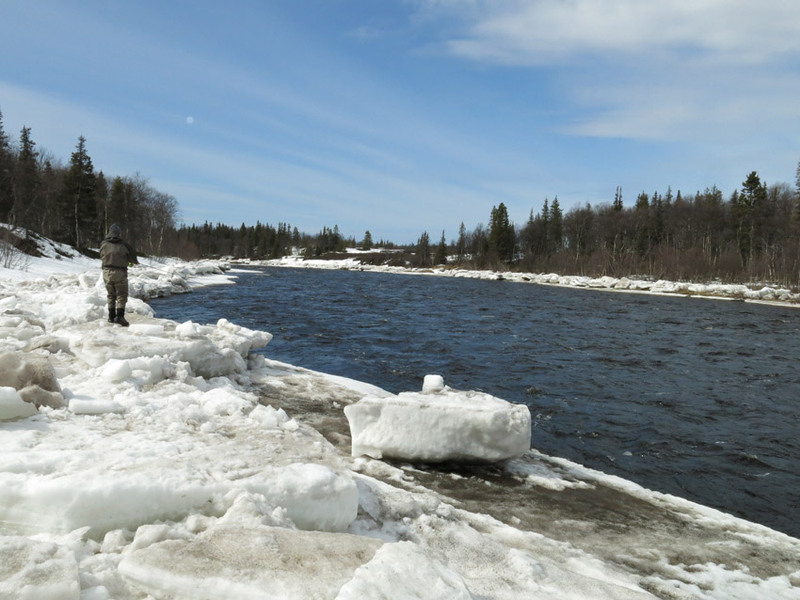 In general, the higher the water level in the spring brings great inconvenience to anglers than salmon. You need to have the physical ability to choose the best position on the river. And the special requirements for distance casting. Spring river carries 10-20 times more water than in summer. So we just need to present fly in a large volume of water. With regard to the temperature - this factor is very important for salmon. 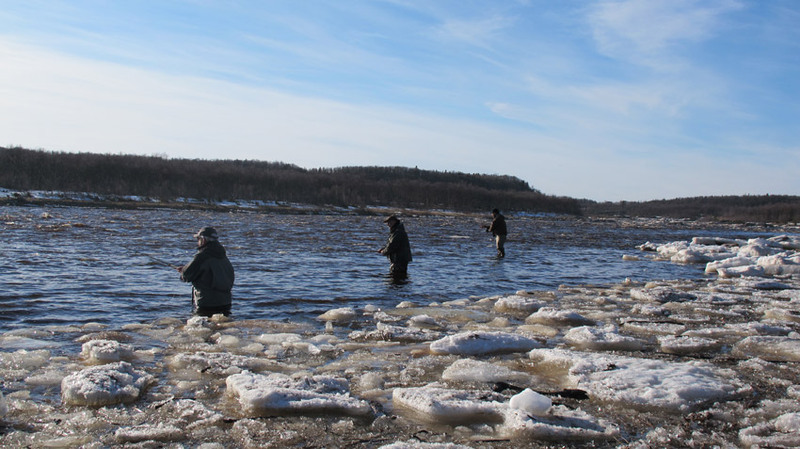 Wintered in the river at very low temperatures, the fish rapidly loses activity in warming waters. Comfortable for the beginning of the season can be considered an interval of 6 to 8 degrees. Further warming of water primarily inactivated largest salmons. 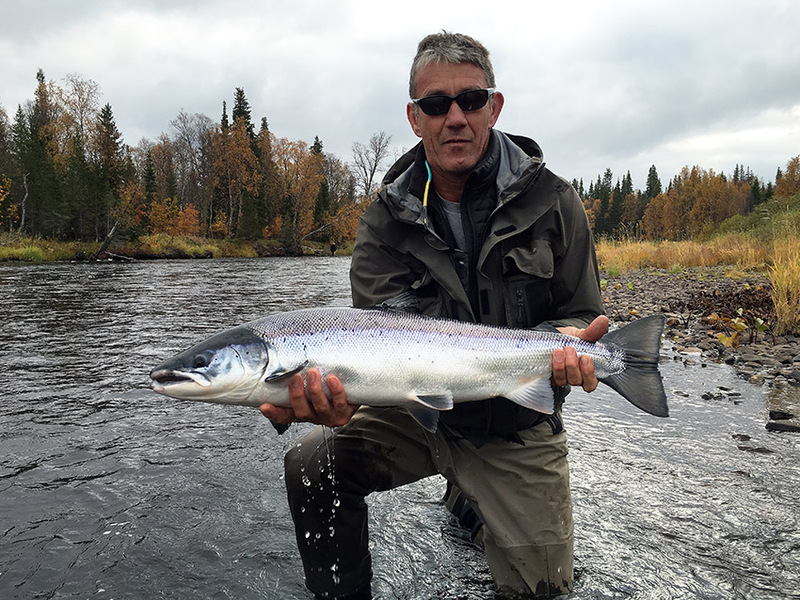 The chance to catch the Giants, who have come to the river at the beginning of autumn is rapidly declining. These we shall see again only in the pre-spawning period in early September. Smaller salmon remain active longer. Apparently, this is due to adaptation of fish of different size characteristics. You can also assume that the salmon appeared in the river in late autumn or early winter, longer retain silver-purple dress and a desire to respond to the flies. We have considered one side from which the result of catching salmon in your week depends. 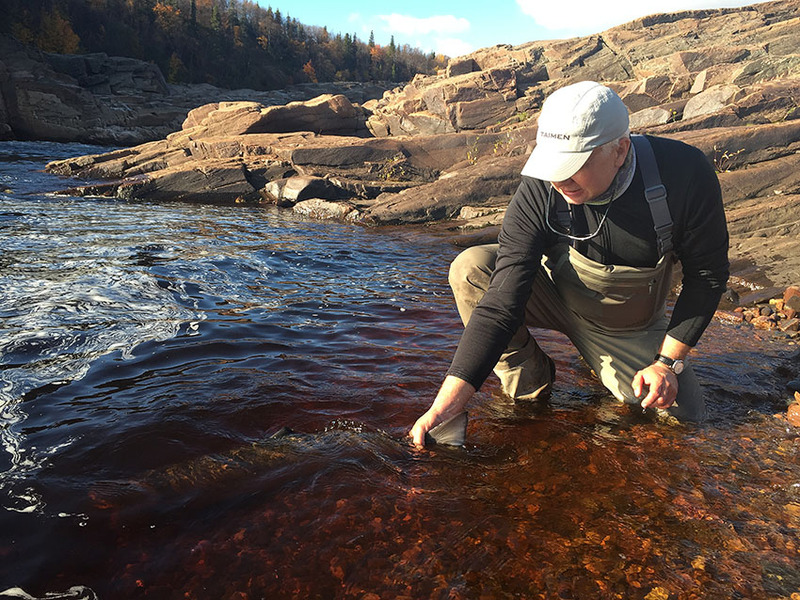 Water condition and the state of the salmon. The other side of the result depends on our ability to adapt our skills to these two factors. I already wrote about the two best - the best anglers position and the best fly presentation. Our adaptation is the ability to take the best position in the river and to ensure proper operation of the salmon fly. The correct position is characterized by the fact that we have access to the place where the fish are concentrated. In addition, the right position allows you to use our actual ability to cast and efficiently present the fly. Let's look at the second part that defining our result. 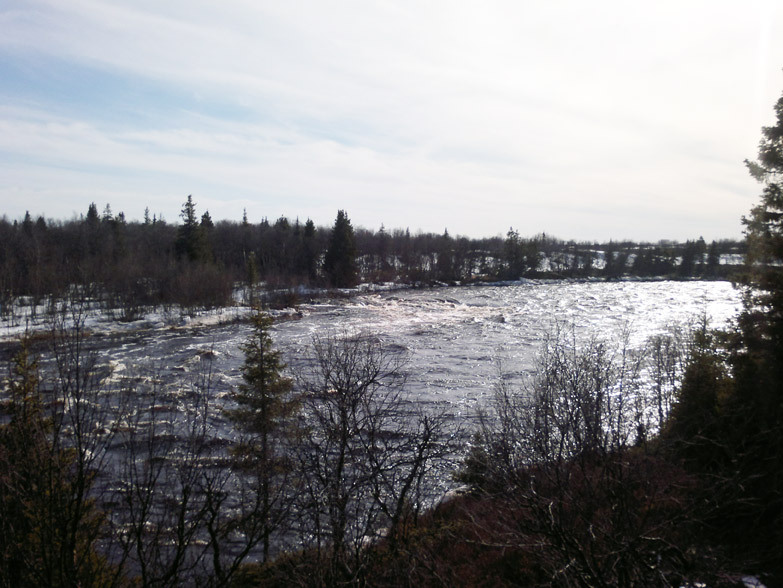 In the spring we usually deal with high water levels, which may limit our ability to move around in the water. Some of the areas on which fish accumulates and stops are too deep or uncomfortable because of the strong currents. 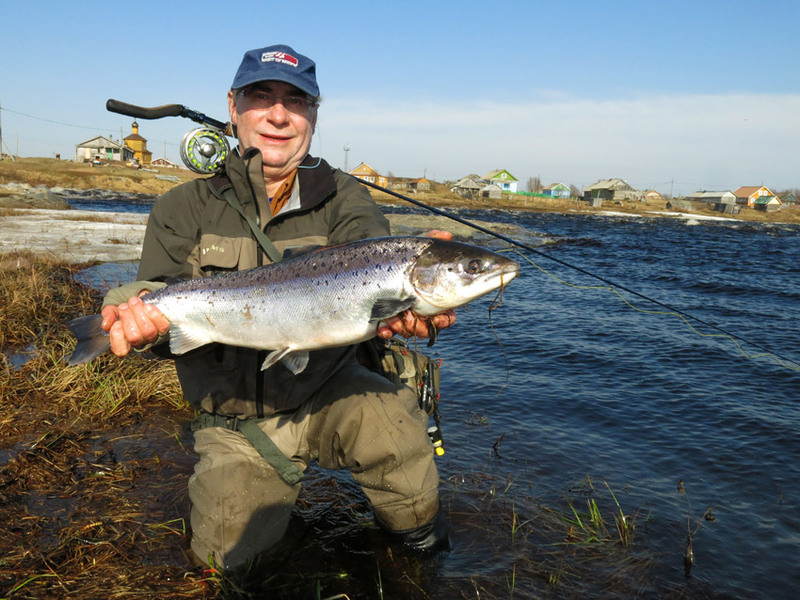 It is therefore important to be able to find a pool that collects salmon and which is suitable for fishing. This is the first BEST, which is necessary for successful fishing angler. In May and early July, wide pools with a relatively steady flow are traditionally resultive. Such pools are found throughout all the Chavanga river. From late autumn when the water temperature drops, these stretches are filled with salmon. 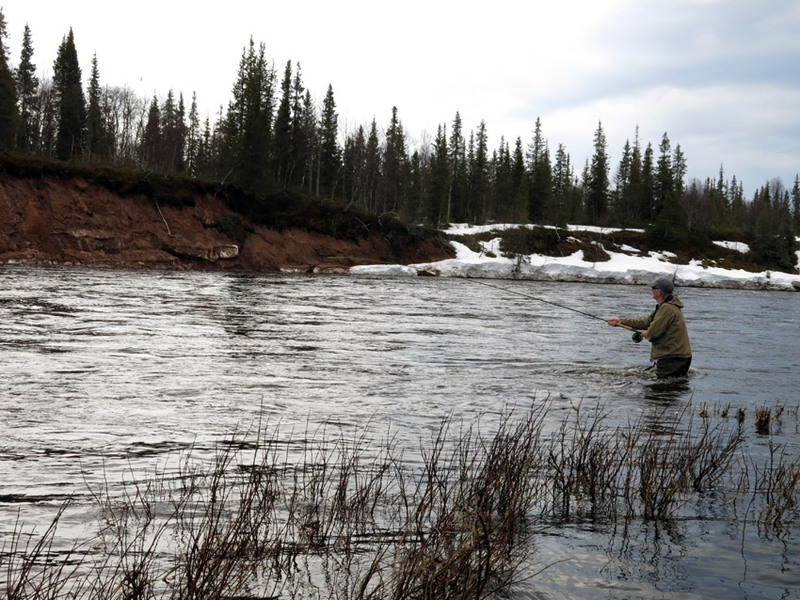 The colder the fall, the more the fish stops on the lower reaches of the river. The colder the spring, the later salmon leaves such places. With rising water temperatures and a decrease in the level salmons begin to change their positions. Some fish only shifted to the nearest place with a rapid current. Other fish raise far up stream. At the same time the distribution of salmon on the river can be extremely uneven and unstable. Salmons appeare in the river at different times and wait for spring in a different physical state. Here you can with some confidence take into account the number of salmon in the autumn Groups, which entered the river from the sea. The later appeared the fish in the river, especially in the best shape it will come to the top of the season. 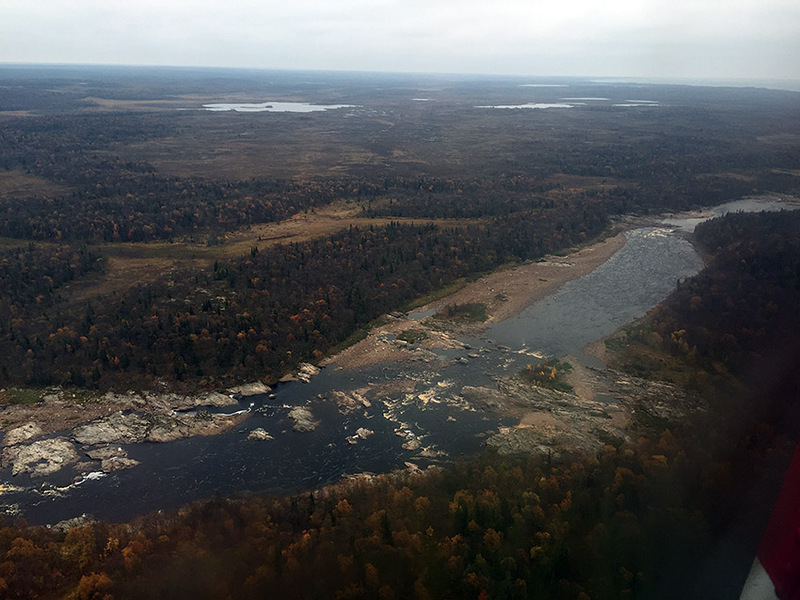 In addition, changes in water conditions during the whole autumn and winter allows or causes the salmon move along the bed of the river all the time. 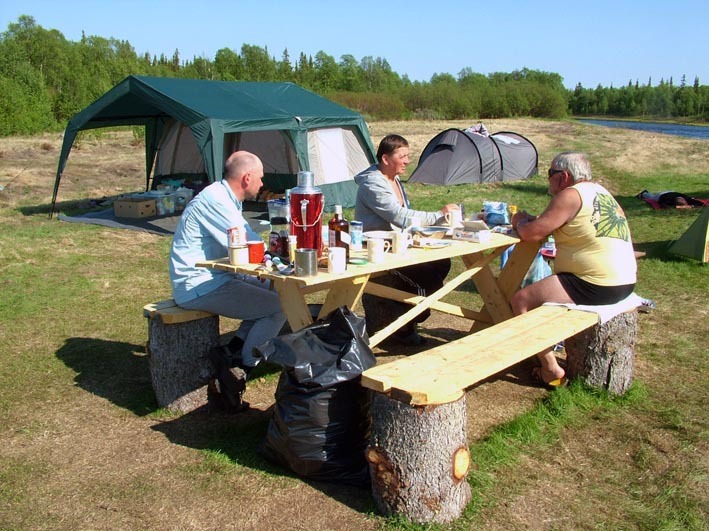 They are looking for perspective long-term parking spaces or simply to shift to safe shelter. It is known that the freezing of the river, a sudden gathering of ice or rapid flooding lead to the deaths of the salmon stock. There are places that are usually filled with fish, but the period of plenty is unstable and is not required to repeat. This explains one of the fisherman bugs that are trying to repeat last year's success. 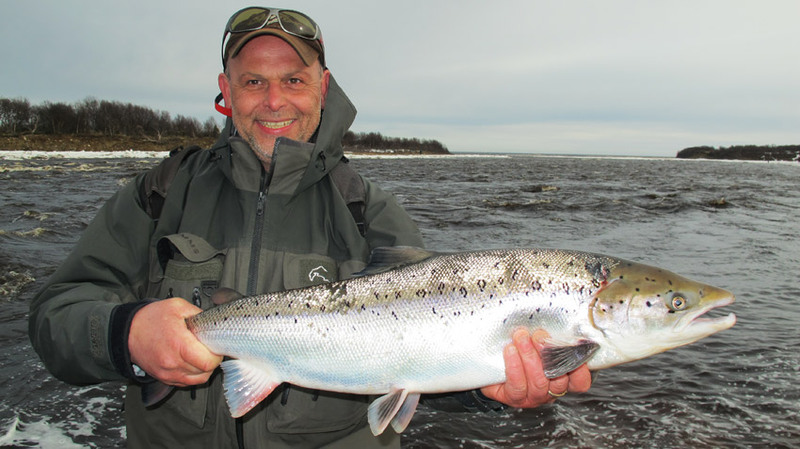 Last year places and the same fishing tactics , now does not guarantee success. Therefore, sometimes it is possible to listen to the advice of the guide. Depending on the state of the water, the guides will help you select the most promising pools at this time. Sometimes you have to cast standing on the shore, sometimes you need to go into the water. 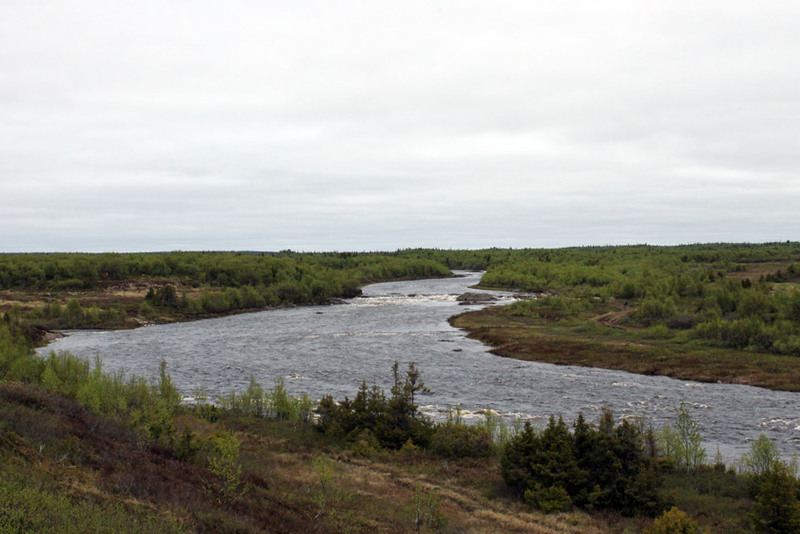 An unknown river, especially during the high water level, causes obvious difficulties for fishing. Moving on the rocky bottom is not easy for the angler and requires a good physical condition. In any case, the guide will try to find best position, safe and convenient for fishing. We can not influence on the position of the fish in the river. Salmon chooses his place itself, based on its condition, intentions and state of the water. Knowing or assuming of the salmon parking places, we try to take the correct position for casting. Here you need to think about the distance between the angler and fish, as well as the angle of the cast direction and water flow. 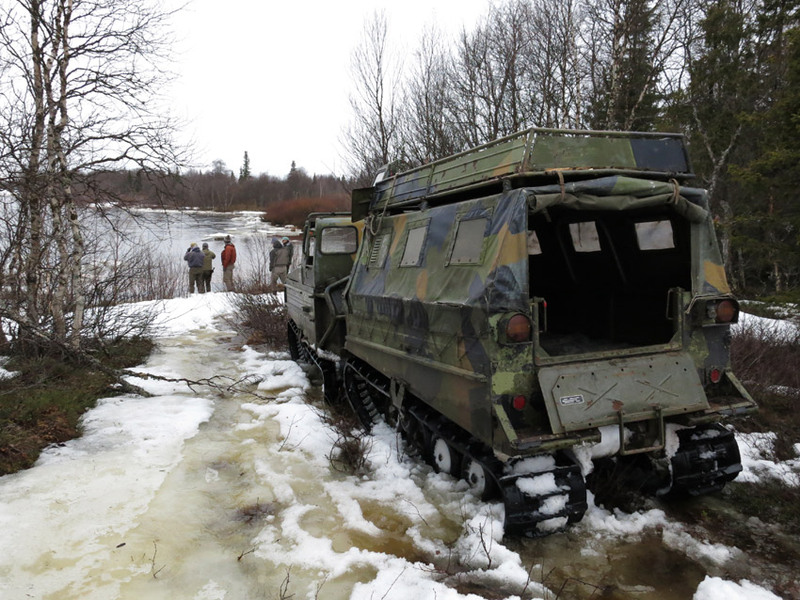 During high water, we have limited mobility and are needed to fish in large volume of water from one position. Of course, there is the advantage of a fisherman with a skill of long-range casts. 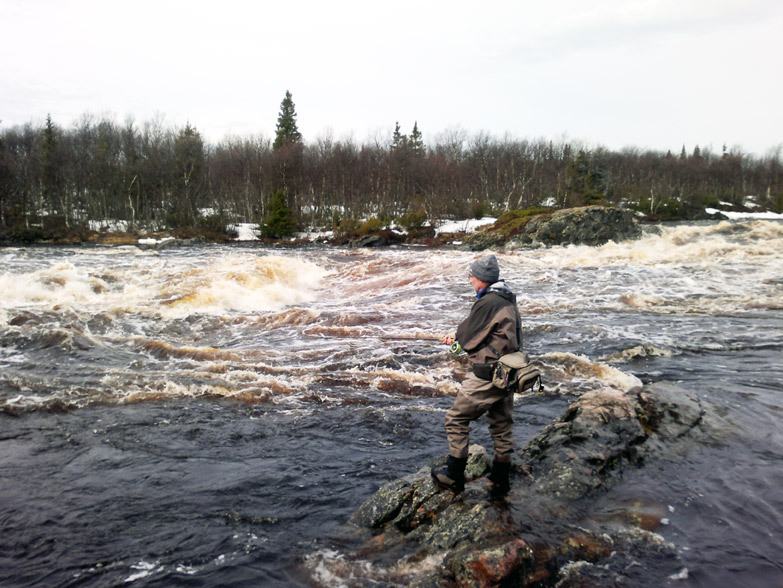 High water level forces us to search for the fish quickly over a large area. Therefore justified we use casting at large angle to the flow. It is important to pay attention to the speed of movement of the fly in the water. I often see anglers passively watching the line that accelerates the fly to a speed of 3-4 meters per second. Fly quickly passes a promising area and often comes into working position only at the shore, far away from the parking lot of fish. If you have salmon bites only at the finish of fly presentation, when the fly stops directly downstream - then you are wasting time, incorrectly chose the position or direction of casting. If fly fisherman can not properly use Mending and (or) the position of the rod tip to get slow fly drift, then the angler have to change his position. Correctly will be to have salmon not parking aside but as possible directly downstream. Then it will be possible to use a casting at a smaller angle to the flow. Fly will stay longer in the perspective place, it is easier to control, selecting the depth and direction of fly movement. Some anglers have difficulty using a heavy two-handed tackle. Upstream position helps with casting and presentation problems. I want to draw attention not to line flight but to the salmon fly flight. Fly must take the operating position immediately after the fall on the water. The head of the fly should be deployed against the current by nylon. A large number of bites occur in the first few seconds after casting. A large number of fish are biting during the first casting. 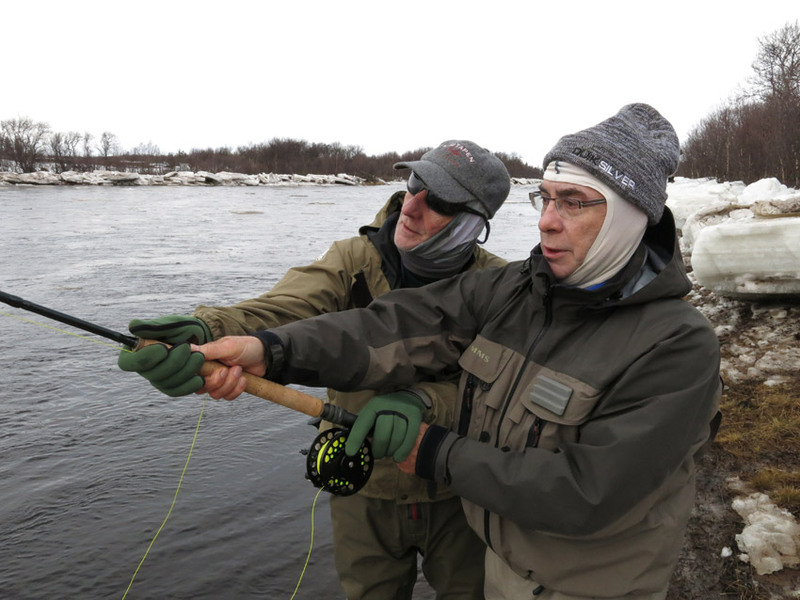 A large number of fish refuses to respond on the fly with repeated casts. If a fly falls into the water on a twisted nylon or leader assembled in rings and loops - you have a problem. They grow when trying to make long casts. You lose the understanding of the fly position, drift direction, and simply wasting your time. If you find it difficult to change the quality of the casting, or to choose the right gear, it is necessary to simplify the situation. Try to take a position closer and upstream to the fish. In this case, you do not need long casts and line manipulations. 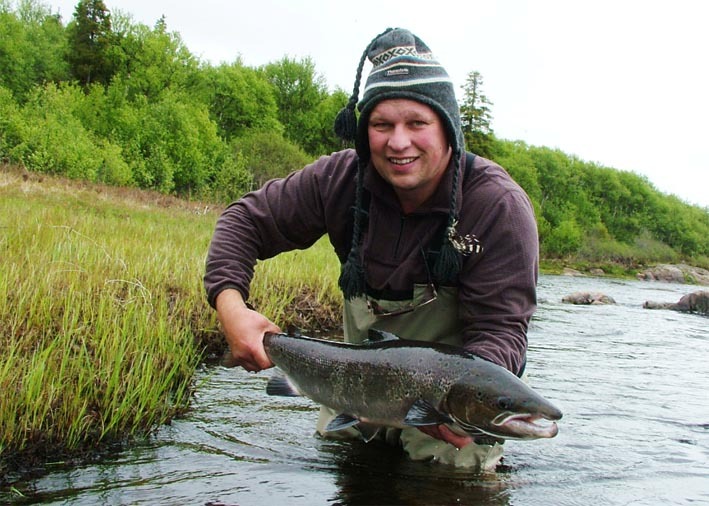 Water supply fly to the desired position and keep it in the zone of visibility of salmon. 1. 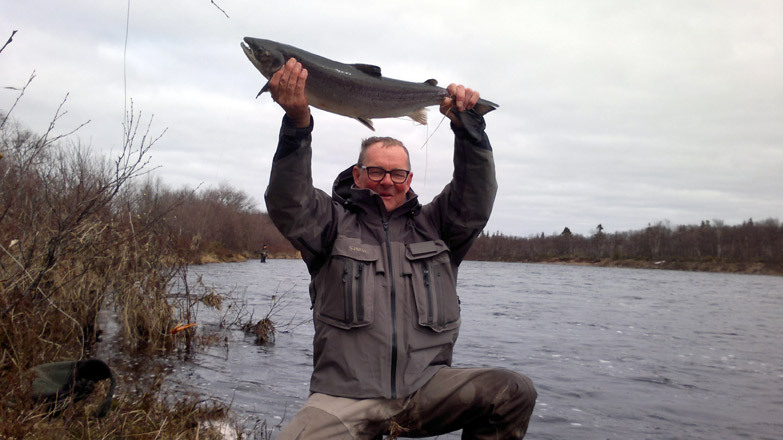 Use the guide help to search for salmon and determining the best position for fishing. 2. Do not abuse to cast across the river, trying to process a large territory in search of fish. 3. Do not abuse the long distance and technically difficult casts. 4. Reduce the distance between your position and salmon lay. 5. Take position more upstream from the parking lot of salmon, not on the side. 6. Narrow casting sector and presentation of flies over the parking lot of salmon. 7. Simplify your casting technique to avoid possible errors in the presentation of the fly. At the end of this article, I want to say that our gear, our ability to cast and take the best position in the river serve only one purpose – to get best fly presentation.